I have been teaching sewing lessons for over 12 years now. I love to teach newbie sewists how to use their machine and start creating. One of my favorite patterns that I introduce my students to is the Penny Pocket Pillow Pattern. This pillow is the perfect beginner sewing project and almost all my students ask to make one. We love a good pocket pillow and the Penny pillow is the perfect easy pillow pattern. 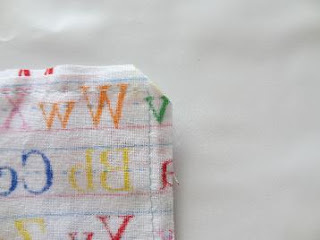 The directions include how to make a single or double pocket for holding a large book or two small pockets for toys or even a cell phone. 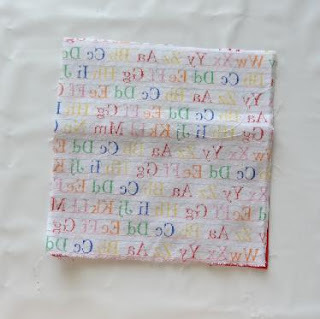 This is a super fast and fun sewing projects for both kids and adults. Plus, you can hide your treasures, stash your books, or just lay down and relax. This pillow can do all three! 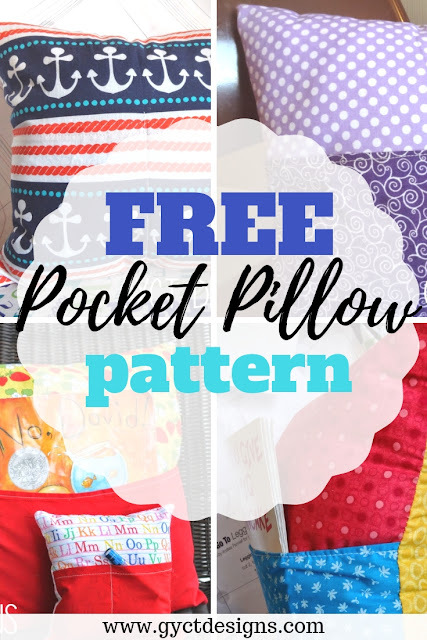 You are going to love this pocket pillow pattern so much!! 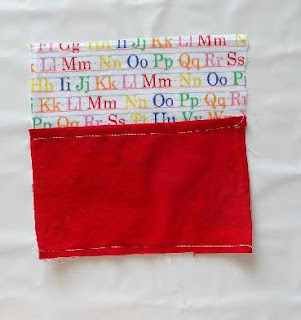 Take pocket piece, fold one of the long edges towards the wrong side of the fabric 1/4" and then again, another 1/4". Stitch across the folded edge. Place one of the pillow pieces on a flat surface with right side up. Place the pocket piece onto the pillow piece also right side up. Match the bottom straight seams. 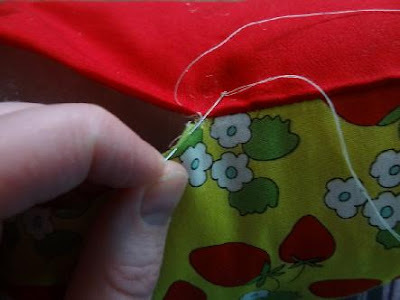 Stitch across the bottom straight edge to attach the pocket to the pillow at 1/4". 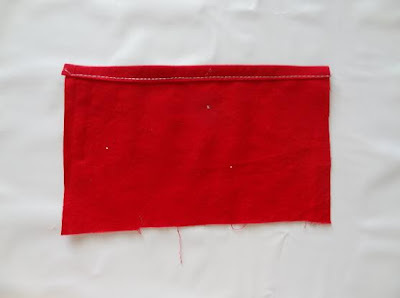 You can leave the pocket as one large pocket, or you can stitch down the middle to make two smaller pockets. With right sides together, place the opposite pillow piece over the pillow pocket. 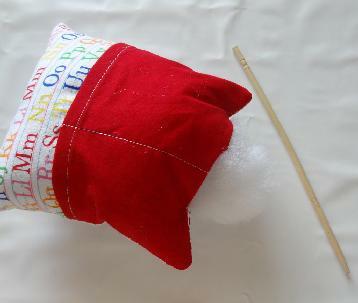 Stitch around the entire pillow, leaving a 3 inch opening on the bottom to add the stuffing. Clip all your corners and turn the pillow right side out. Use fiberfill to stuff your pocket pillow pattern to desired fullness. More filling makes a firmer pillow. Handstitch the opening on the bottom of the pillow closed. You can use a whipstitch or a slipstitch which is what I do. Congratulations! You've sewn up your first pocket pillow pattern!! See how easy this project is. My students seriously love this pattern so much. In fact, most of the pillows pictured here are the adorable pillows they've sewn up over the years. 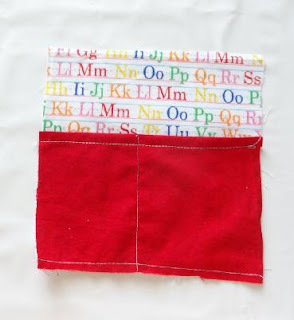 I hope you'll enjoy making your own simple pocket pillow with this tutorial.